Dusty mahogany color. Savory, sour aromas of reduced lemon with balsamic, sour cherry kefir, and lettuce greens with pickled veggies and vinaigrette with a satiny, vibrant, finely carbonated, dry-yet-fruity medium body and a smooth, compelling, medium-long sourdough cherry toast with lemon-kiwi marmalade, marinated artichokes, nuts, and brandy barrels finish. A complex, delicious and flavor pack sour fruit beer that will rule at the table. Bottom Line: A complex, delicious and flavor pack sour fruit beer that will rule at the table. Fruit beers are ales or lagers to which fruit has been added in order to impart flavor or color. The degree of overall flavor and aroma will vary in these beers in relation to not only the fruit utilized, but also to when and where fruit was added during the brewing process. These beers are highly individualistic, and allow brewers great creativity in their formulations. While the more common fruits used by brewers include cherries, strawberries and blueberries, many examples of fruit beer are readily available including coconut and kiwi to name a couple. Given the variation possible in this category, there are no established standards for appearance, aroma or flavor. Instead, beers in this category are defined by pleasing combination of the beer’s elements, overall drinkability and balance of fruit and base beer flavors and aromas. Noteworthy examples of this style include: New Glarus Belgian Red Wisconsin Cherry Beer, Samuel Smiths Organic Apricot Ale, Unibroue Quelque Chose and Stevens Point Whole Hog Raspberry Saison. 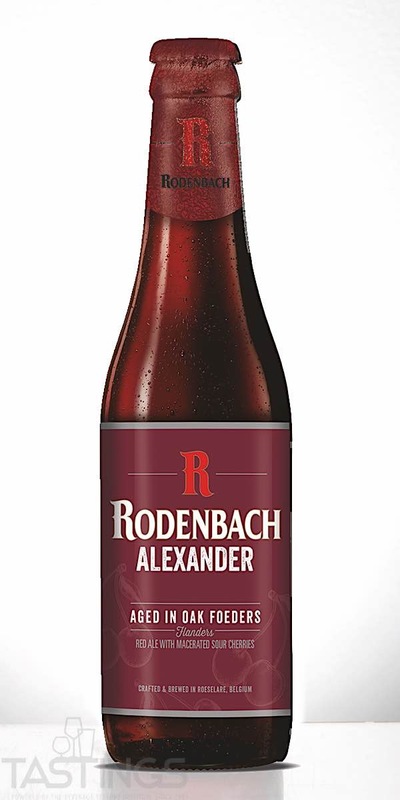 Rodenbach Brewery Rodenbach Alexander rating was calculated by tastings.com to be 97 points out of 100 on 6/8/2018. Please note that MSRP may have changed since the date of our review.